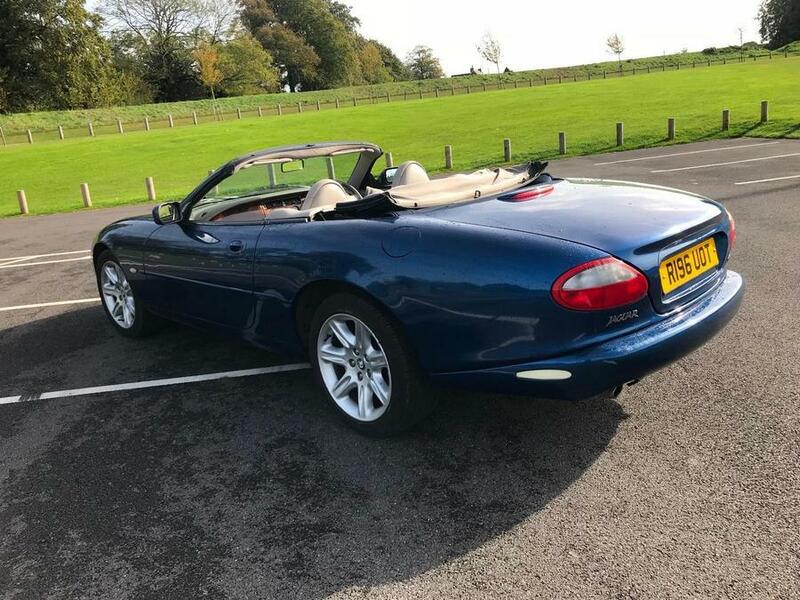 This is lovely example of a sensible mileage sporting Jaguar XK8 Convertible. 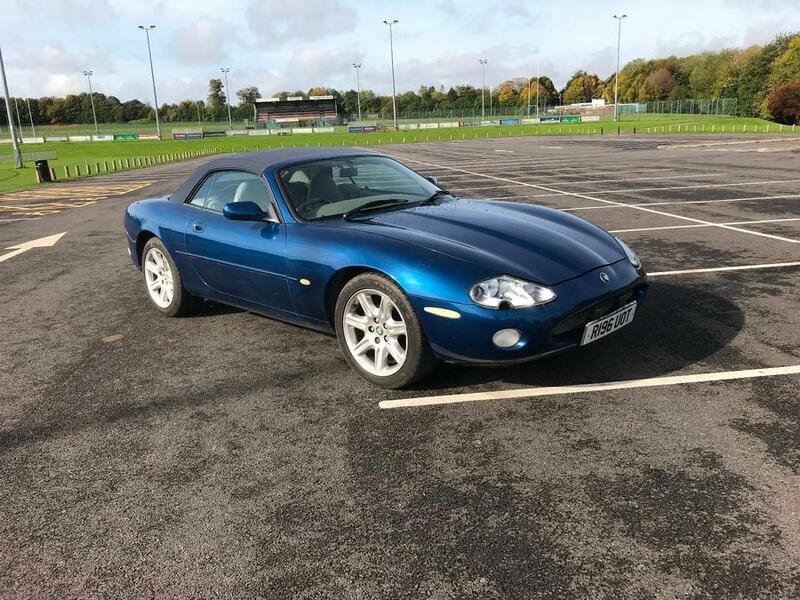 The car has great paintwork and bodywork, the interior is quite lovely and the dark blue hood is in great shape too. 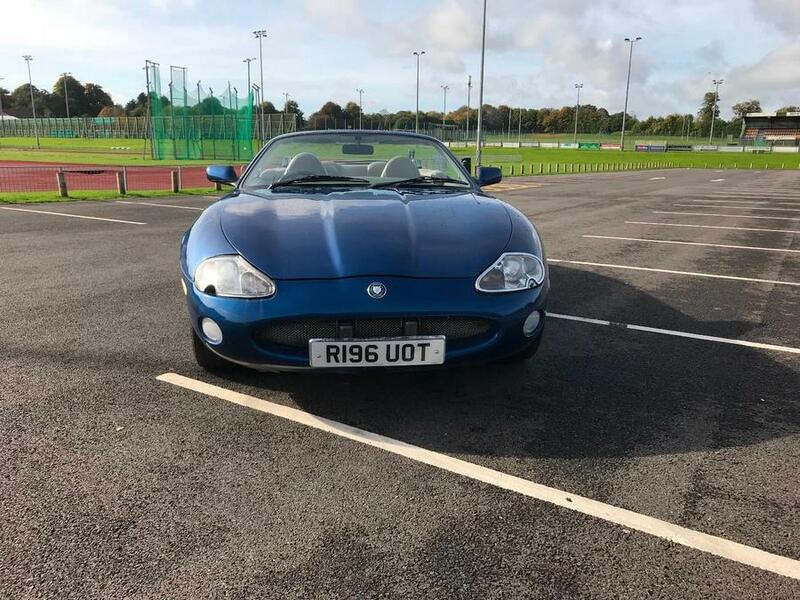 The car was bodywork repaired in past years following an insurance claim and this involved the replacement of the bonnet/bumper/off side front wing and headlamp….this was done to a very good standard and probably explains why the paintwork is so good. The HPi register will reveal this. It is our duty to make sure you are made fully aware of this. 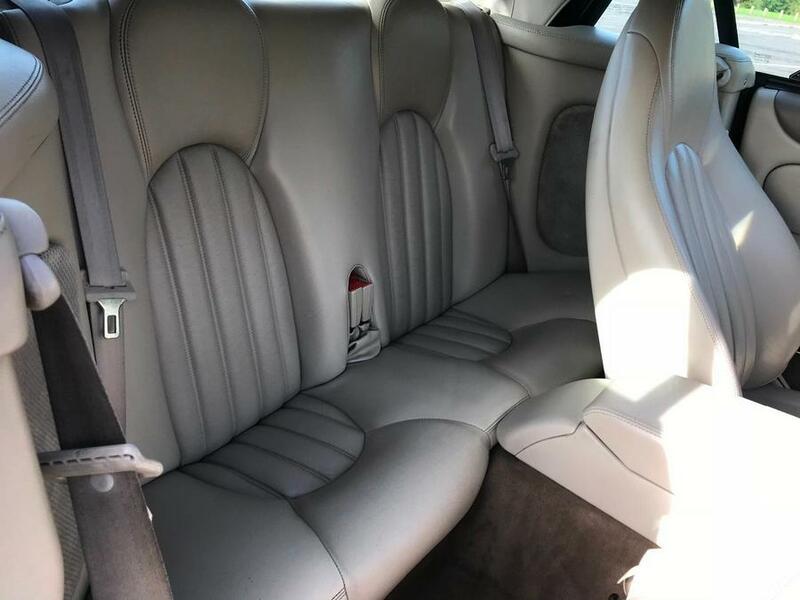 The previous owner of the car who part exchanged it was very helpful with explaining this and it certainly didn’t prevent him enjoying the car. The colour combination of Antigua Blue & Oatmeal colour is the best combination in our opinion. 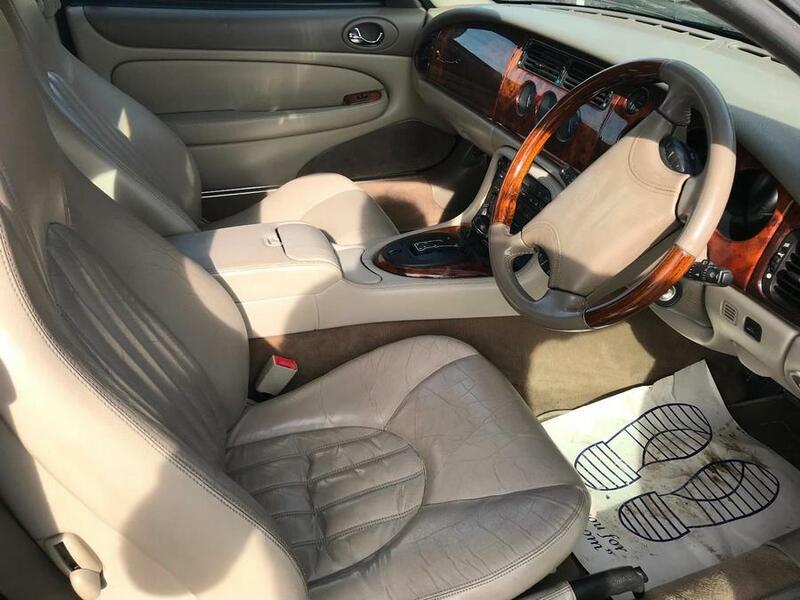 The interior is also in great shape and the car looks superb with the walnut dashboard. The 4 litre V8 engine sounds awesome. The car drives beautifully well and looks terrific with the roof lowered for sunny days. The superior bodywork does make this car stand out and lack of rust/dings and dents makes quite a difference. 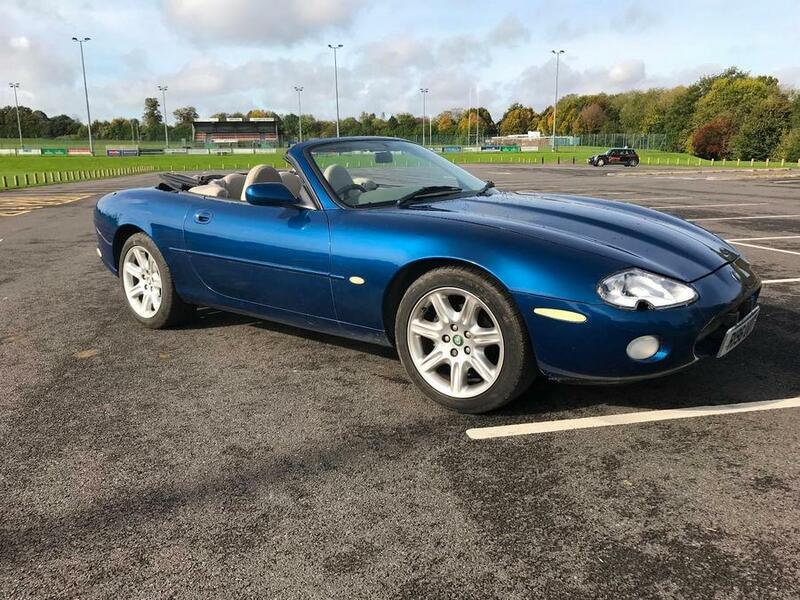 We are convinced that XK8’s that are good examples in great colours combinations will continue to steadily rise in value and prove good investments in time. The car comes with all handbooks and 2 sets of keys. We can take part exchanges and assist with UK delivery at sensible prices. We can accept payment by all major credit cards if so required. Please arrange to come and view this lovely car today.